For families holidaying in Verbier or Zermatt we provide a reliable service with a trusted nanny who has the experience and qualifications to give you peace of mind. The nanny will come to your chalet, provide toys and organise activities. Nannies can meet the kids at ski school and can even take them up the hill to meet you for lunch- they are trained to ensure your kids have a great holiday too! 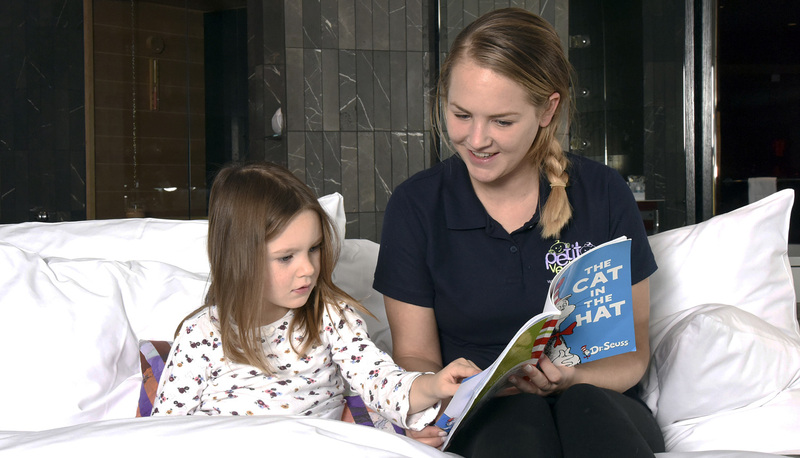 We will bring your nanny to meet you and the children once you arrive in resort, this is a chance to chat through your children’s routines and your requirements and see your nanny interact with the children. Our nannies are also available for evening babysitting at your chalet or hotel. We will always find you a babysitter whose experience matches the ages of the children they are caring for. We will let you know your babysitter’s name in advance. For your first booking your babysitter will arrive 10 minutes early so you can show them around, advise on what you would like them to do and watch them interact with your child. For frequent weekenders or for families living in the mountains we will match your requirements to a suitable nanny and every effort will be made to ensure the same nanny each booking. We also have a good network of nannies around the world who are available for full year or seasonal nanny placements. We can provide live-in or live out nannies, au pairs and part time permanent nannies. For a personal quote just contact us. We provide party organisers and entertainers as well as nannies and babysitters for weddings, events and corporate groups.